Feast your eyes on the spectacular city and mountain views from this impressive town-home nestled in the Mountain Foothills. 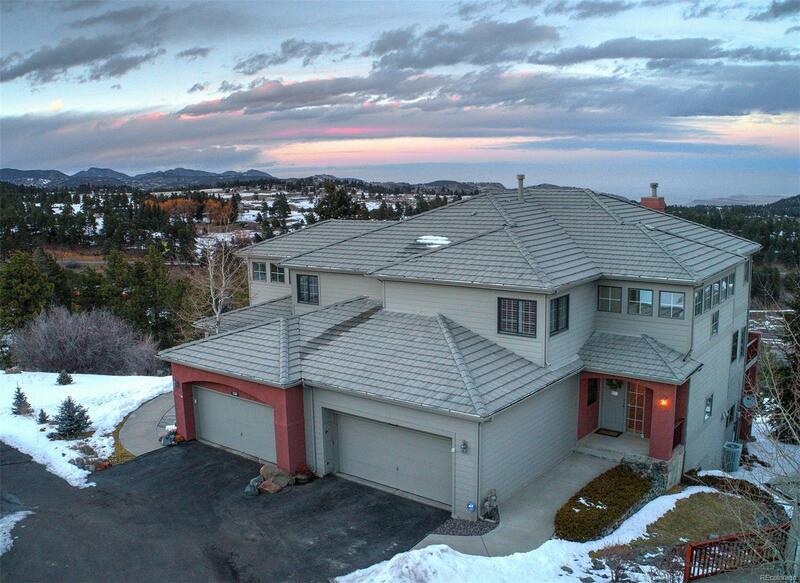 Easy access to town and the ski areas and located at one of the most private spots in the neighborhood. The main level offers an open floor plan with a den, kitchen, granite counters, stainless steel appliances, eating nook, along with a gas fireplace and a formal dining room. Vaulted ceilings await you in the grand main entry area with lovely wood floors or use the easy access from the garage with a handy utility sink and more built ins and storage into the mud room. The grand Master suite on the second floor boasts amazing views with a gas fireplace and a must see custom walk in closet. The bathrooms have all been updated with heated towel racks and European fixtures and the master bath has heated floors and a nice large bathtub. The full walkout basement has high ceilings and open w/ a kitchen, bedroom and bathroom. This town-home is a rare find! "Trust in Real Estate since 1978"
The content relating to real estate for sale in this Web site comes in part from the Internet Data eXchange ("IDX") program of METROLIST, INC.DBA RECOLORADO® Real estate listings held by brokers other than Assist2Sell Real Estate Professionals are marked with the IDX Logo. This information is being provided for the consumers' personal, non-commercial use and may not be used for any other purpose. All information subject to change and should be independently verified.